William Morrow Paperbacks, 9780061357954, 272pp. Writer and editor Howard Mittelmark's book reviews and essays have appeared in the New York Times, Washington Post, Philadelphia Inquirer, Hollywood Reporter, Writer's Digest, and other publications. He is the author of the novel Age of Consent. Sandra Newman is the author of The Only Good Thing Anyone Has Ever Done, which was short-listed for the Guardian First Book Award. She is also the author of the novel Cake; the memoir, Changeling; How Not to Write a Novel, an irreverent how-to guide with Howard Mittelmark; and The Western Lit Survival Kit. She lives in New York. Authors and editors Mittlemark and Newman identify writing pitfalls in each aspect of novel writing…. A great resource, this tongue-in-cheek guide is a fun read with a lot of solid advice for would-be novelists. 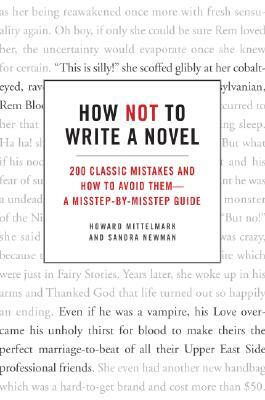 This writing how-to should carry a warning: it’s the kind of book one reads at the expense of other responsibilities….a surprisingly distinctive approach within the crowded category of novel-writing guides.